Real Simple comes through again with a great recipe, this time for a simple sandwich. I never would have thought of this combo, but it was so good! 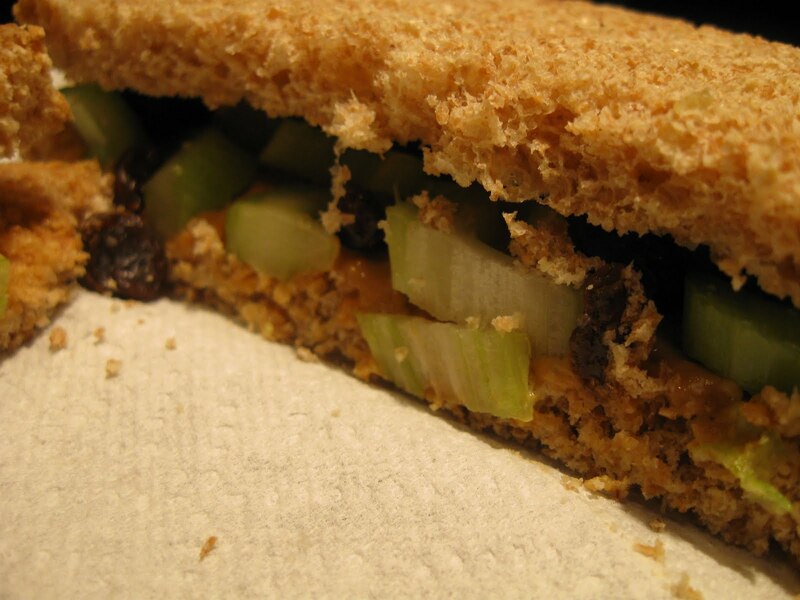 Peanut butter is a reliable sandwich staple, but the celery added some crunch and the raisins added some sweet. I made this on Great Harvest Honey Whole Wheat, and it was another nutritious portable meal. 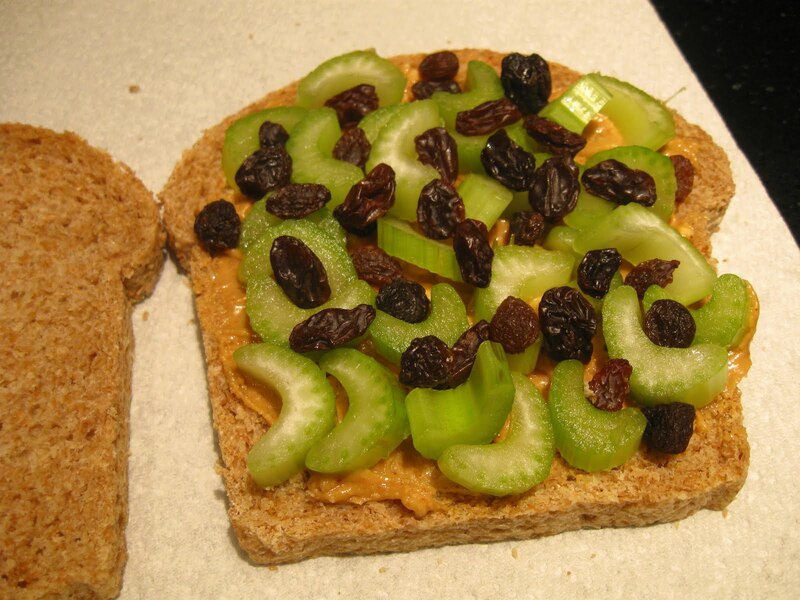 Its an "ants on a log" sandwich! GENIUS! i adore ants on a log + bread!